Buffalo ranch chicken wings are perfect for parties and get-togethers, especially when cheering on your favorite team! There's nothing like dipping a finger-licking-good chicken wing in zesty ranch sauce. In the recipe below, we take that zest and that zing and put it all into an easy pasta casserole. Your guests will love it and be begging for more. We start by lightly seasoning chicken thighs with salt and pepper and then pan-frying them both sides. The addition of garlic to the pan adds more depth of flavor. Then we simply deglaze the pan with water and add our favorite buffalo sauce. This simmers in the pan for 5 to 10 minutes before we add the packet of ranch dressing. After shredding the chicken, we mix it right into the sauce with rigatoni pasta. We add mozzarella and blue cheese to this recipe, but you can leave it out and still have the perfect dish! Pour oil in a hot pan. Lightly season chicken with salt and pepper, then brown on both sides. Deglaze the pan with water, then add buffalo sauce. 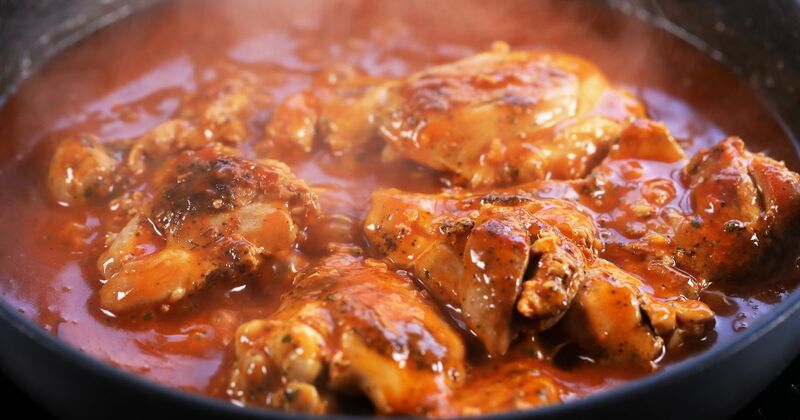 Cover the pan and allow the chicken to simmer for 5 to 10 minutes. Check occasionally to be sure the chicken doesn't burn. While chicken is simmering, cook rigatoni al dente according to the package. Add the ranch packet to the chicken, then shred the chicken right in pan. Mix well. 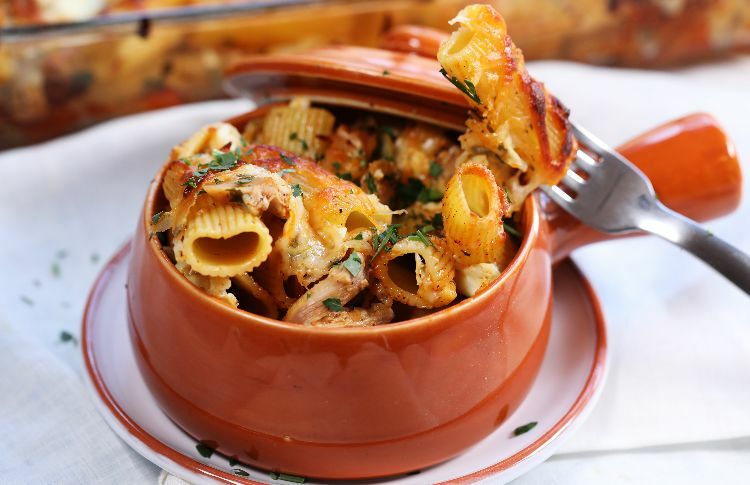 Combine chicken, rigatoni, parsley and mozzarella (optional) in a baking dish. Sprinkle the remaining mozzarella and the blue cheese evenly on top. Bake in oven for 15 to 20 minutes, until top is golden and bubbly. Consider this casserole the long-lost sibling of a classic chicken pot pie. It is just as savory and hearty and melt-in-your-mouth good; however, this creamy version takes it one step further in terms of comfort. There really is no going wrong with this amazing feast! We love the way the rice absorbs the savory, salty chicken broth, and how the entire feast comes to life with the added depth of some of our favorite vegetables.